In March, 2016, Beston Group welcomed Nigeria customers. In fact, as early as December 2015, the Nigeria customers have come to China to investigate waste tire pyrolysis project and have visited a lot of pyrolysis plant suppliers in China. Since China and Nigeria are separated by 11000km, customers were very cautious in the choice of pyrolysis plant manufacturers. The customers had very stringent requirements no matter in waste tire recycling technology, or design, quality and supplier’s professional level. Finally, when they returned to Nigeria, he had spent three months in project preparation and supplier comparisons. Then he came to China again and decided to cooperate with Beston Group. By the end of April, we arranged delivery and the waste tire pyrolysis oil plant reached Lagos port in Nigeria in early June on schedule. 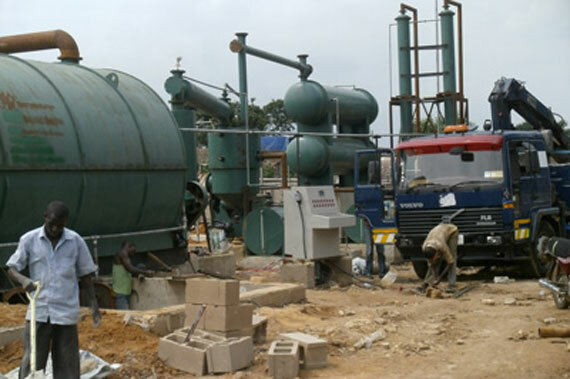 In early July, we have sent our engineers to Nigeria to lead the pyrolysis plant instillation and finish the works of training and guiding workers. In the middle of August, our customers have already put into production. Up to now, the pyrolysis machine has been running very well and the customers are quite satisfied with the machine. 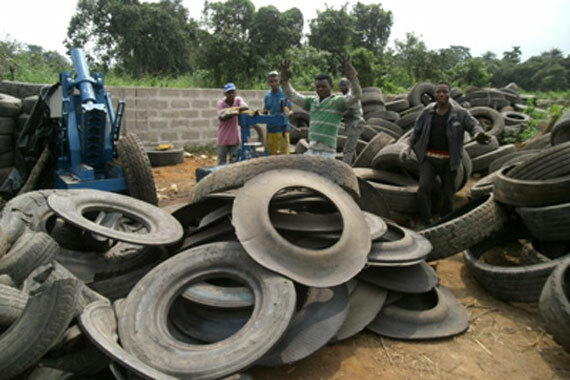 According to the customers’ feedback, Nigeria is a very good market because there are a lot of waste tires to be deal with. The local price of waste tires is 45.9 dollars per ton, while the tire pyrolysis oil can be sold for 573 dollars per ton, and steel wire price is 327 dollars per ton. Waste tire pyrolysis project has characteristics of high profits, rapid recovery of cost and so on. Welcome customers abroad to our factory to visit and guide! 1. Design the installation drawings according to your site. 2. 1 year warranty, engineers available to service at any time. 3. Periodical call visit, to make sure there is no problems of the equipment. 4. Design specific maintenance program according to different situation of your plant.